Yes! I had a blonde moment. I am reposting this post but this time I am adding the photo of the adorable post-it note frame. Today is the final day to order from the summer mini http://204.228.150.61/catalogs/flash/en-US/20110314_kk34dsh_SummerMini/index.html. Today I am cleaning up from a summer of creating and getting ready to switch gears to the fall season and the new Holiday mini catalog that is available starting tomorrow. 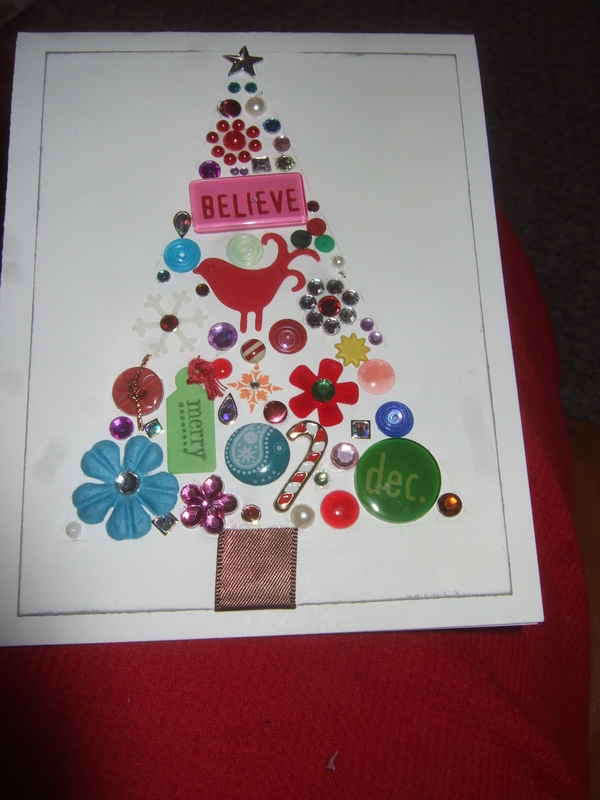 One of my favorite challenges is to use paper scraps and embellishments from my table to create a card or item. Stay tuned tomorrow when we can reveal the Holiday Mini and you can begin ordering from it. Everybody loves flip flops and most people have more than one pair so following up with yesterdays post I am posting another use of the Summer fun stampset from the Summer mini: http://204.228.150.61/catalogs/flash/en-US/20110314_kk34dsh_SummerMini/index.html Let me know if there is anything you need from the summer mini before Aug 31st. Cammie repurposed a crystal light container into cute packagng for a birthday present for Blair- the non stamper of 3sister2stamp! 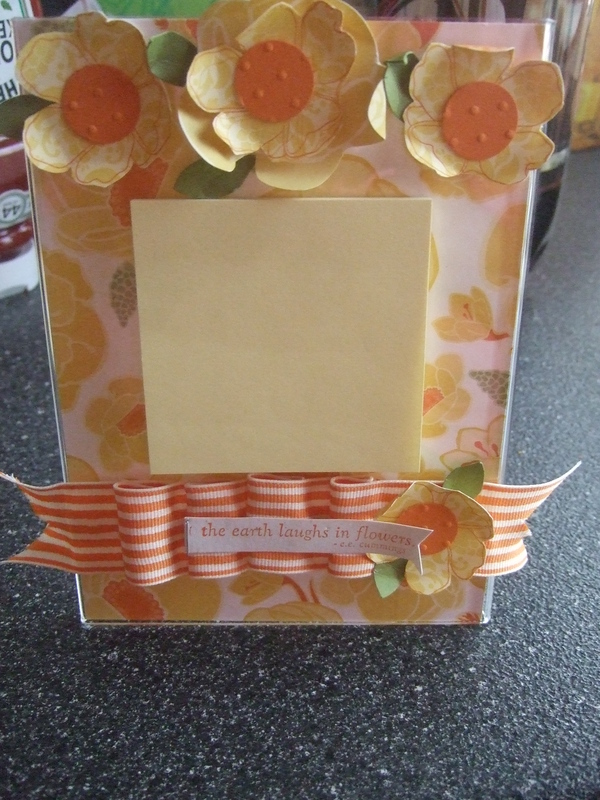 Todays post is using the summer fun stamp set from the Summer mini. http://204.228.150.61/catalogs/flash/en-US/20110314_kk34dsh_SummerMini/index.html Let me know if there is anything you need. Sorry for the bad scan but the only photo I have of this card was from my display board at my summer mini workshop. We got new neighbors and I wanted to welcome them to the neighborhood. 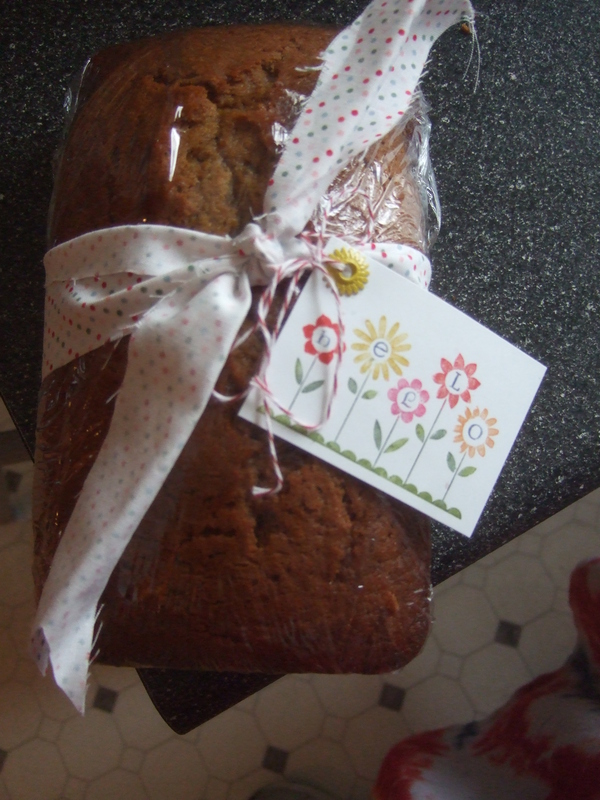 I made a loaf of pumpkin bread wrapped in saran wrap and tied it with a scrap of retired Christmas fabric and an adorable tag using the Hello Blossoms stamp #123102 for 7.95. This stamp is only available until Augsut 31 in the summer mini http://204.228.150.61/catalogs/flash/en-US/20110314_kk34dsh_SummerMini/index.html This is when I am glad I have lots of supplies on hand and can dress up an ordinary loaf of bread! 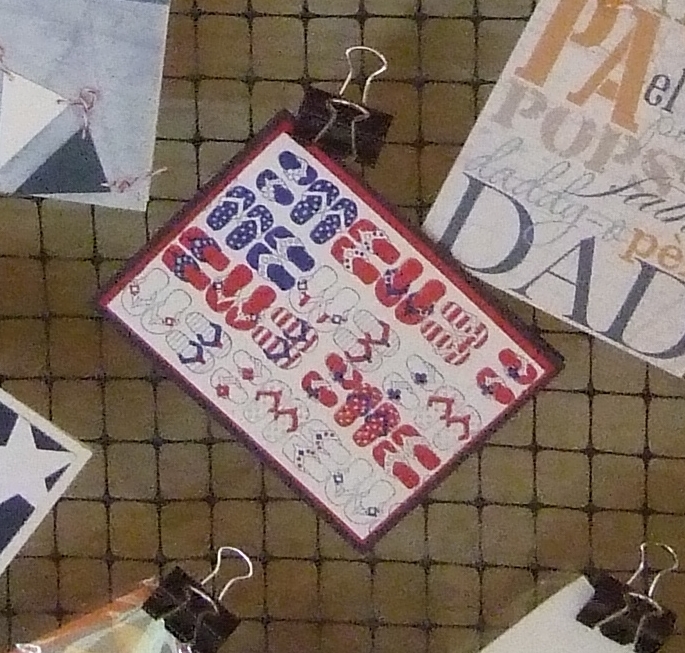 Land of the Free stamp set from the Summer mini. 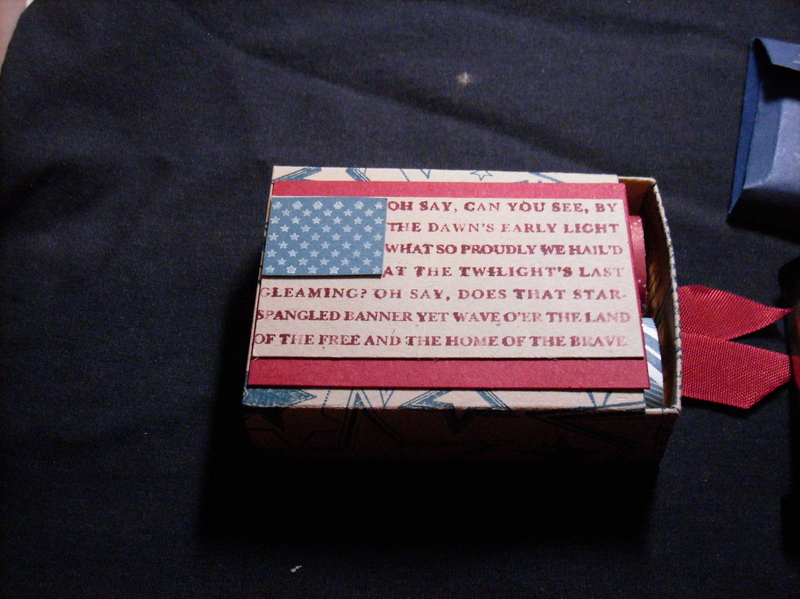 http://204.228.150.61/catalogs/flash/en-US/20110314_kk34dsh_SummerMini/index.html was used to create this all american box that can be used for any occasion to honor an American Hero. Remember the items in the summer mini end on August 31st. Let me know if you need anything before its gone. Just as summer is fading fast so are the items in the summer mini. Check out the link to the summer mini that ends on 31 Aug. http://204.228.150.61/catalogs/flash/en-US/20110314_kk34dsh_SummerMini/index.html and let me know if there is anything you need. My favorite DSP in the mini is the nautical expedition paper. I loved it so much that I bought the paper and the MDS digital download. 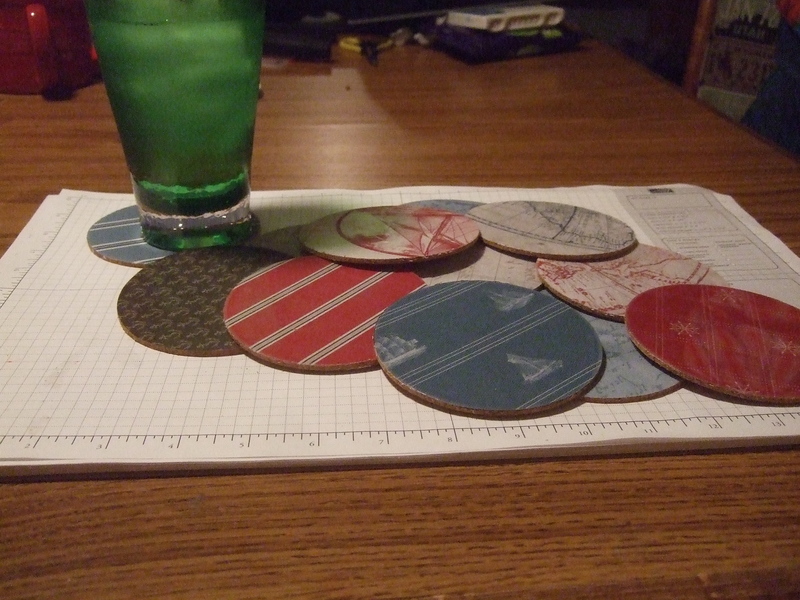 Here are the coasters that I made using the Bighsot, the nautical expedition DSP, Staminup cork sheets and window sheets. 131 shopping days until Christmas. Yes and believe it or not the stores are already filled with Christmas decorations which makes me crazy. But the good news is there are only 6 more days until the new Stampin Up Holiday mini catalog is unveiled and ready to buy from. Of course since Cammie and I are both demonstrators we already have some of the product in our hot little hands and have begun to create new stuff. But until then I want to share my favorite card I made last year (only 2 were created). Please be warned that not all the product on the card is SU but it could be easily adapted. I love this card because it looks simple but it was not. That is why I only made 2.